The Association of Community Media of Kyrgyzstan with the support of the Deutsche Welle Academy, Friedrich Ebert Foundation, World Organization of Community Radio Broadcasters (AMARC) and UNESCO Almaty will organize a conference in Bishkek on 1 November 2017 "The Role of Community Media in the Development of Society." Community media, whether broadcast or online, are crucial to ensuring media pluralism and freedom of expression, and are an indicator of a healthy democratic society. UNESCO supported by the National Commission of the Kyrgyz Republic for UNESCO, advocates strongly for community media that are independent and which are run for and by the community. Over the past 10 years, 26 community media institutes have been established in Kyrgyzstan, and 16 multimedia centers in Kazakhstan have been given an impetus to development. Community radio in particular is crucial for providing an outreach mechanism for increased access to education, self-expression and communication among rural and hard-to-reach populations. Such stations allow communities a sense of ownership about their own development agenda, becoming self-empowered to publicly express opinion, debate issues, and promote the culture, history and language of their community. In this regard, UNESCO participates in the conference "The Role of Community Media in the Development of Society". UNESCO will provide the recently-adopted Recommendations for Community Media Sustainability, the long term viability of community media must be encouraged through supportive policies and strategies, including legal recognition, fair access to spectrum and licensing, sustainable sources of funding and inclusion in considerations around digital transition. Conference highlited imoortance of community jourlalists safety enmarking Word day of end impunity and special message from Director General. 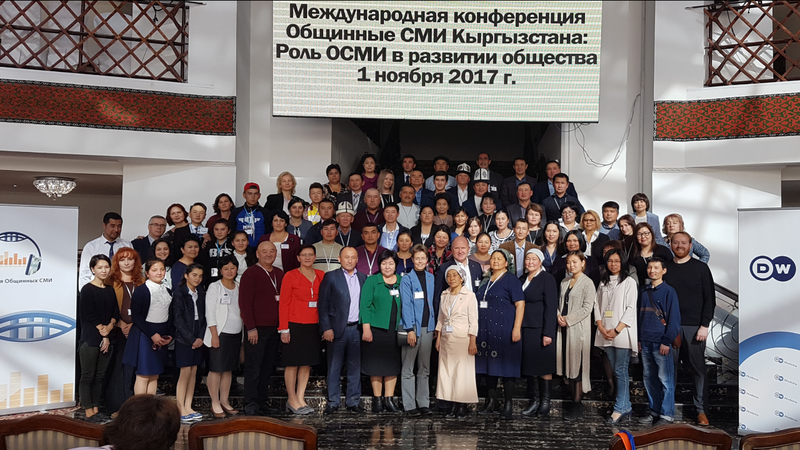 The conference is attended by the Ministry of Culture, Information and Tourism of Kyrgyzstan, Community Media Association of Kyrgyz Republic, Deutsche Welle Academy, World Organization of Community Radio Broadcasters (AMARC), the Austrian Radio Factory, and UNESCO Almaty Office. During the conference, the "Best Community Media - 2017" awards ceremony will be held.